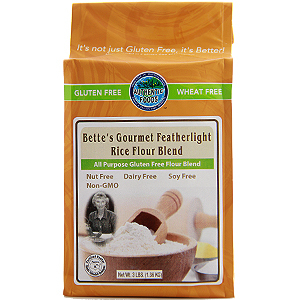 The Authentic Foods Bette’s Gourmet Featherlight Rice Flour Blend is a unique blend of flours developed by Bette Hagman, author of the book, The Gluten-Free Gourmet Bakes Desserts. It is a fabulous gluten free all purpose flour blend for baking desserts. Preheat oven to 350 degrees Fahrenheit. Grease an 8 inch round cake pan. Set aside. 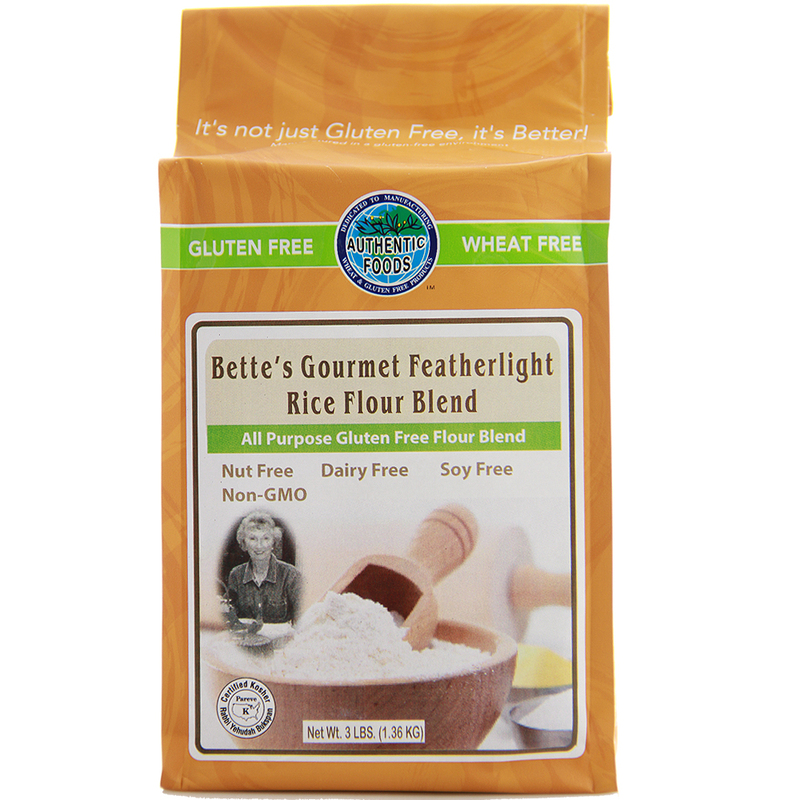 In a medium bowl, whisk together the Authentic Foods Bette’s Gourmet Featherlight Rice Flour Blend, Authentic Foods Xanthan Gum, baking powder, baking soda, egg replacer and salt. In a second bowl, blend the buttermilk, lemon juice and the mashed banana. In another bowl, cream the margarine and sugar. Then add the eggs, one at a time, beating until smooth and fluffy. Add the vanilla, 1/2 of the flour mixture and 1/2 of the banana blend. Beat until smooth. Repeat with the second half. Beat approximately 1 minute. Stir in the nuts and pour into the prepared pan and bake for approximately 30 minutes or until a tester comes out clean and the edges of the cake separate slightly from the pan. Cool before serving. Top with whipped cream and fresh banana slices or ice with your favorite icing.